A young family took their outdated master bathroom down to the studs and brought it back to a modern-day beauty with the help of Julie Baur, Baur Interiors. Their goal was to preserve the “old” feel and charm of their existing Central West End home, but bring the space to current times. 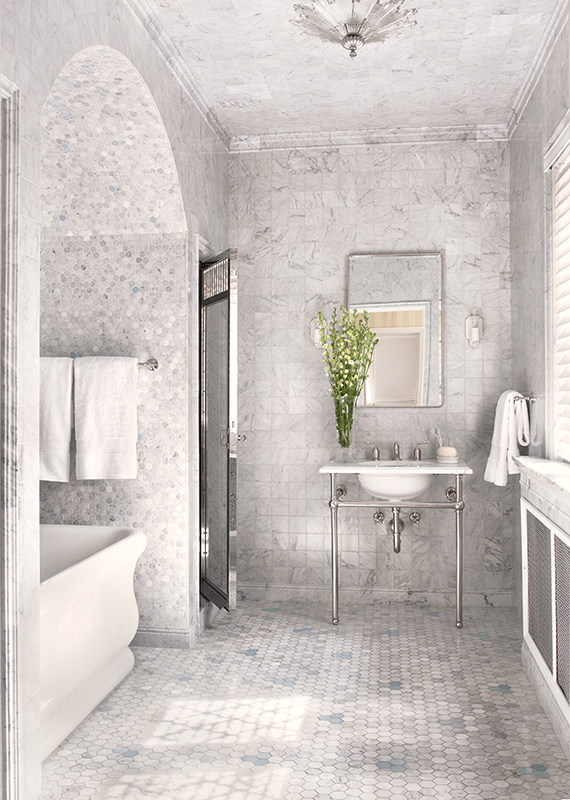 The floor, walls and ceiling are richly covered in a classic white-and-gray marble. Even the crown mouldings are applied in marble. 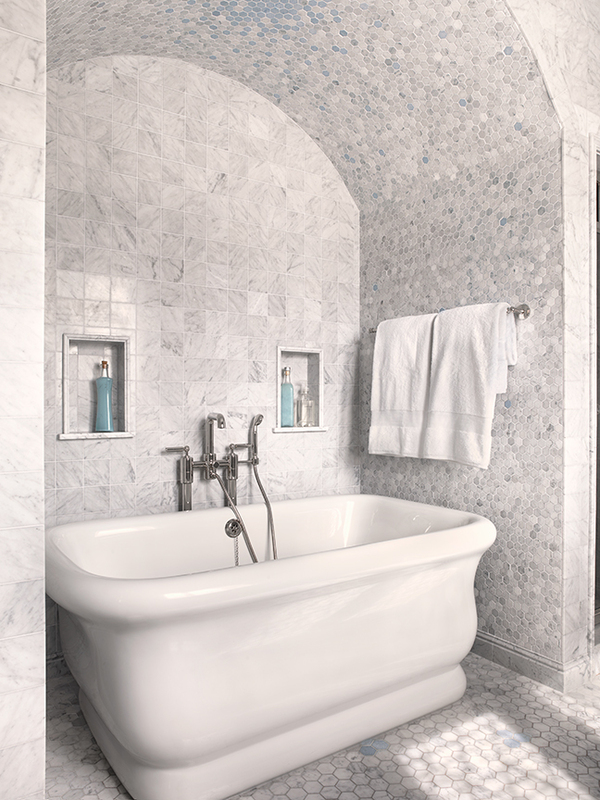 The curves of the freestanding tub mimic the arched alcove in which it is neatly tucked. A pedestal sink gives a touch of the old charm with exposed plumbing. As another nod to the previous era, the original shower door was remade to look exactly the same as the original. Modern day amenities paired with classic finishes bring this outdated bath into the present while retaining the feel of the past. Timeless and classic, the bath design stayed true to the architecture of the era and area. The arched tub alcove is beautifully tucked away. 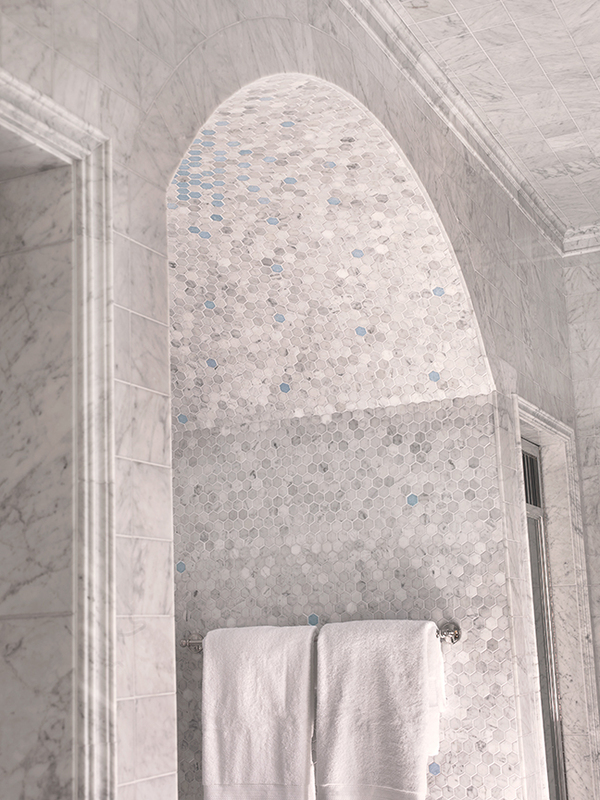 We love the juxtaposition of the larger marble tiles on the floor with the smaller tile on the walls of the tub area.